First time using these video baluns from Nelly's and I have no complaints. They are a high quality product and worked as expected. They helped the installation come together quickly with no issues. The price was great and if you have never used baluns before they can save you a lot of time, headache and cost compared to siamese cables. Easy to use and signal quality was top notch! These plus some cat6 UTP made adding a new camera in a tight spot a breeze, much easier than running siamese. Screw terminal connections grab really tight and ensure the cable won't come loose. Wrapped with some electrical tape for weatherproofing and it should be good for a long, long time. If using cat 5 these are a must have. 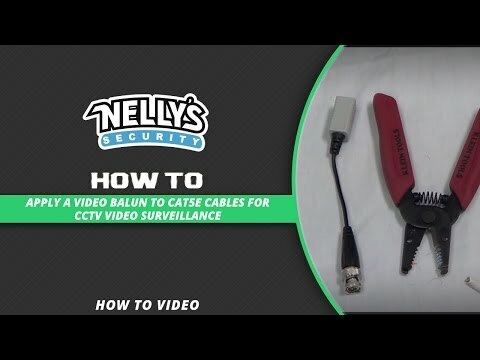 These video balum are user friendly amazed that these were so easy to connect.